FabFitFun - Fall 2015 + Coupon Code! How Much is it? : It's $49.99/quarter or $179.99/year. 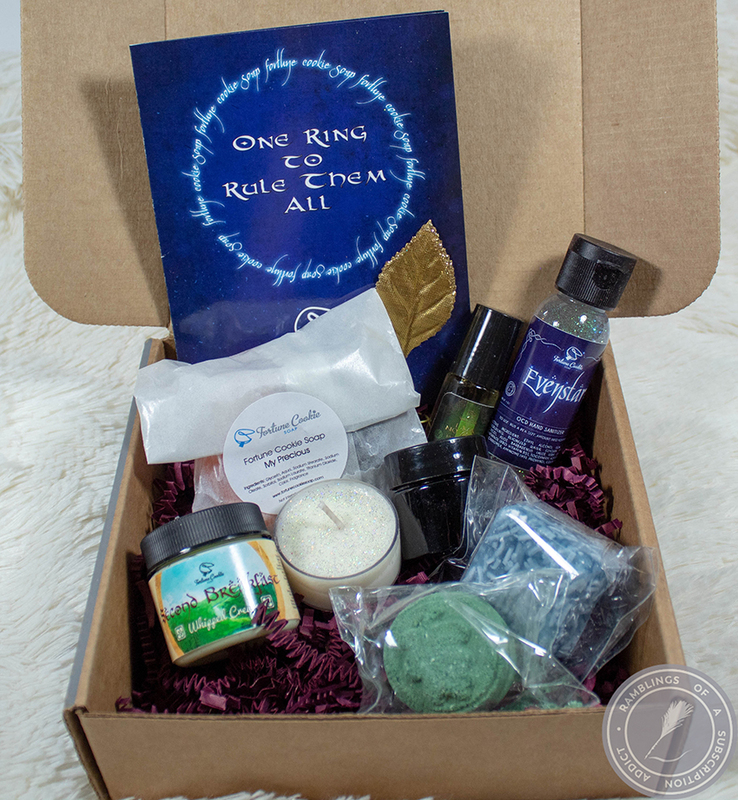 If you use code 'ramblings,' you can get $10 off your box! The boxes are always valued at well over your monthly cost, so it's definitely worth it to try at least once! The Fall box for FabFitFun was in support of Allstate and their Purple Purse Initiative. I absolutely love this, and love that the box was purple. I'd love to have this pattern on something, it's gorgeous. Instead of just a card like normal, this box came with a booklet to give better detail! Gold Radiance Luxury Facial Mask with Collagen and Rose Oil ($65) - These are so cool, just to start out. 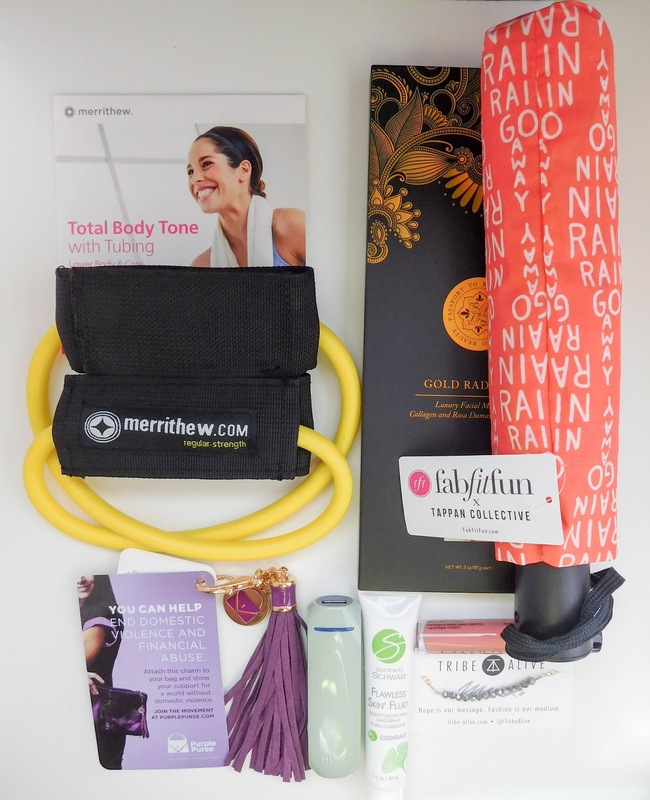 It's a two pack, which means you can use it twice and get all of the benefits! 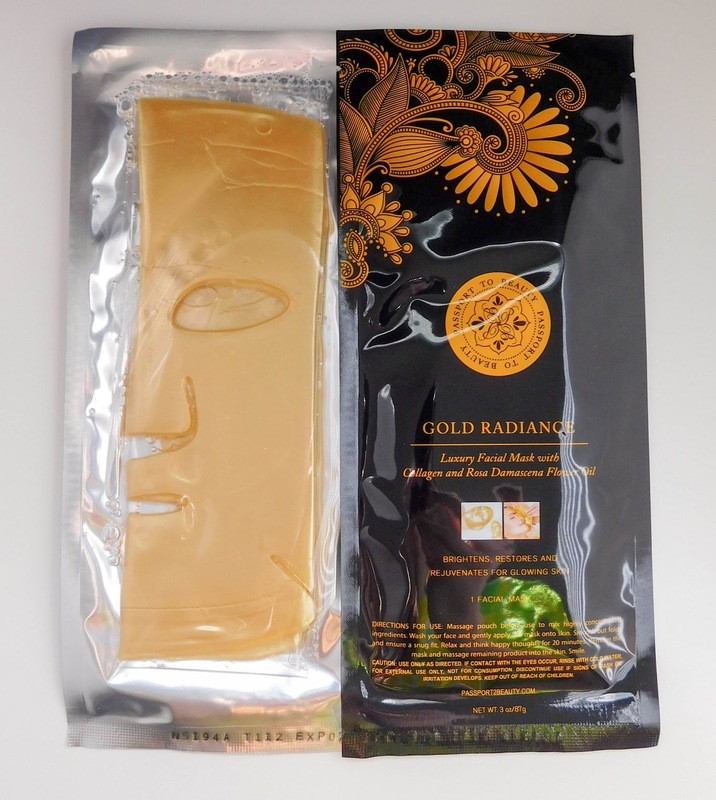 It's used to help stimulate circulation, increase enzyme activity, and soothe your skin. It's perfectly perfect for fall, because we've had a massive cold snap this week. 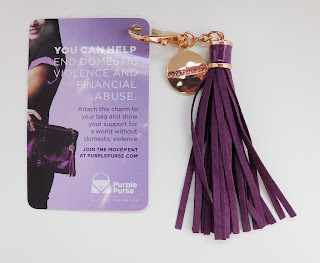 Purple Purse Charm - I love this charm. 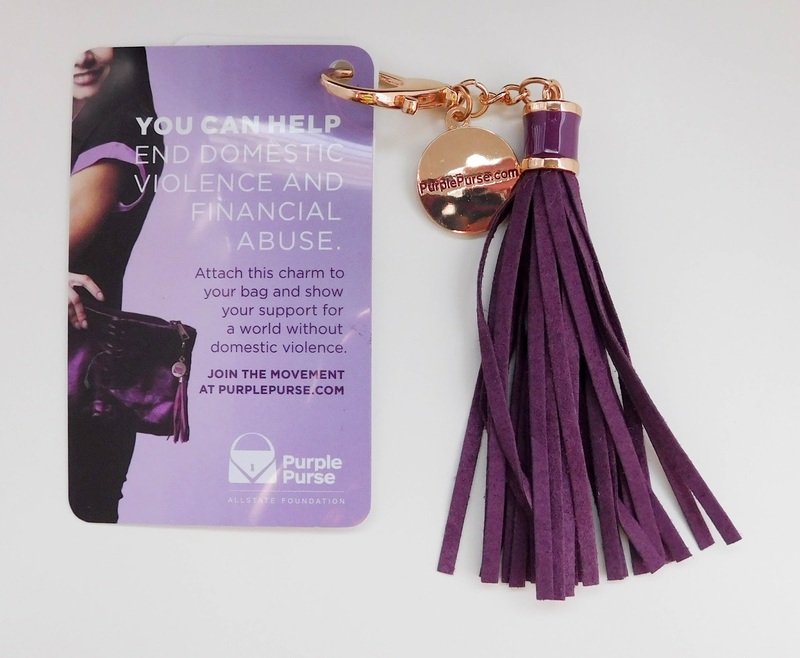 It's to attach to your purse to support women in need and by attaching it, you are joining the fight against domestic violence! It's something I think everyone should support, because this is a serious problem and needs to be taken care of. I'm not going to get all preachy, but I do love this charm and the meaning behind it. 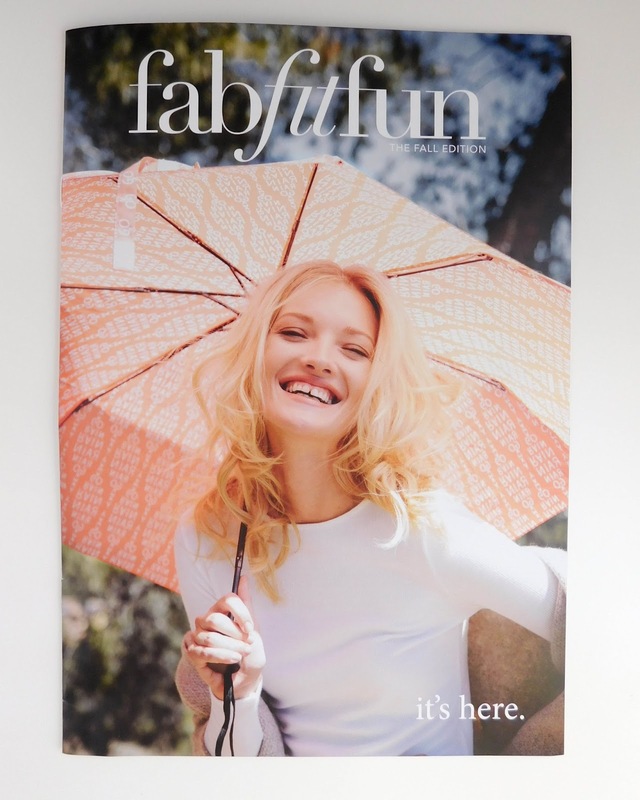 FabFitFun x Tappan Collective Umbrella ($32) - Mine came in this gorgeous coral color, but there were multiple option (Pretty in Pink, Sky Blue, Classic Black, Mango Tango, and Sunshine Yellow). I think I got the best color, obviously. I'm always losing umbrellas, and I don't know how, so I can use another. It's a great print and it's going to be my umbrella for inside, so hopefully I'll remember to carry it when I leave! HISY Battery Pack ($24.99) - Love this! I'm nice, though, and I'm passing it to my mother (who literally constantly has a dying phone). It's adorable and had three color options as well: Mint + Lavendar, Berry + Rose, and Aqua + Navy. 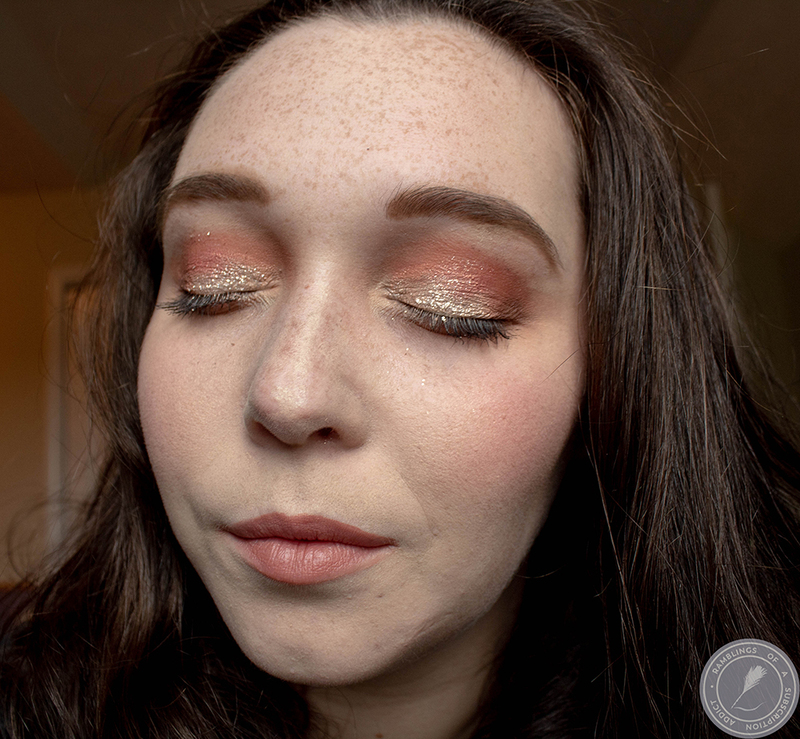 This is super cute, but it's mostly fully functional, and absolutely necessary for nights out! I'm sure my mother will love this. 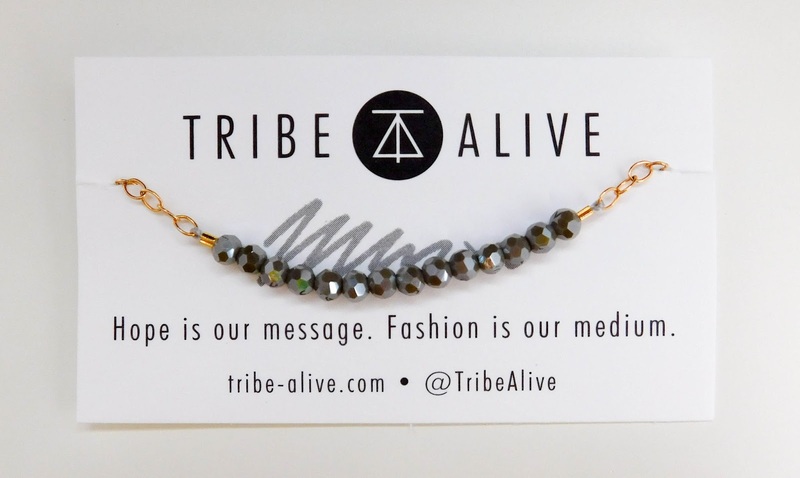 Glass Crystal Bead Bracelet ($49) - Absolutely love. It's super dainty and delicate, but still perfect for just jeans and a t-shirt. Tribe Alive is also a great company, as it helps employ impoverished women. It's a great message and I'm proud that they sent such a great brand to us. There were four color options, Aquamarine, Mexican Blue, White Jade, and Grey Jade, and any of the four would have been perfect. 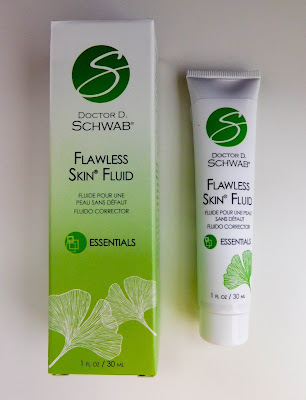 Flawless Skin Fluid ($39) - Oh my, it's like they read my mind. My skin has been so dry because of this cold snap, so this is perfect. It doesn't feel greasy or thick when on, and it dries easily, so you can wear it under makeup or just wear it to moisturize your face. On top of being moisturizing, it helps balance your skin and give it a glow. Lucky Lip Stain ($24) - Oh my, I was at first terrified that the color was going to be super dark based on the color on the box, but thankfully this is perfect! It's a great pink and I love it. It's a primer, gloss, and stain all in one, which means it's perfect for throwing in your purse and not worrying about anything else! It's super moisturizing and isn't stick or gross. 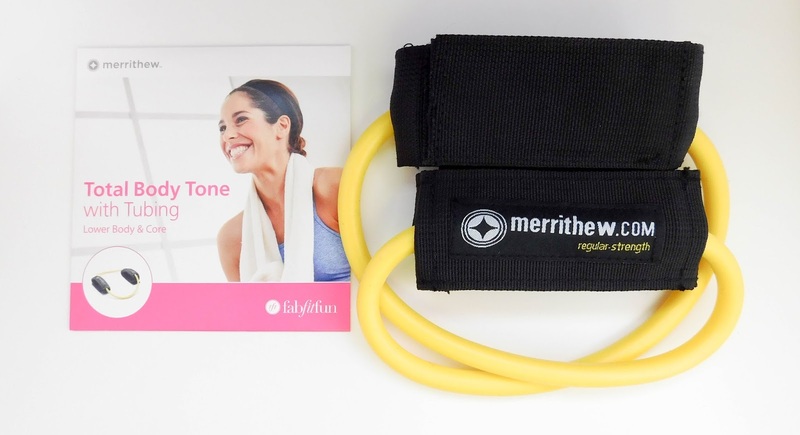 Strength Tubing Ankle & Total Body Tone with Tubing: Lower Body & Core DVD ($33) - This is so cool. I knew there would be a workout item in the box (hello, fit) but this is perfect. I am always wanting new ways to workout without having to buy a ton of equipment, so this is great. It's got a good tension on it without being killer, so anyone can use it, and the DVD is easy enough to follow along with! Also included but not pictured was a $15 gift card for Jeweler's Wife (where you can get jewelry from Michael Kors, ALEX and ANI, etc), a $75 gift card for Picture It On Canvas (where you can have photos turned into coasters, posters, canvas, etc), and a 3D White Brilliance 2-Step System by Crest (sponsored). The value of this box was an amazing $357, which is jaw-dropping. 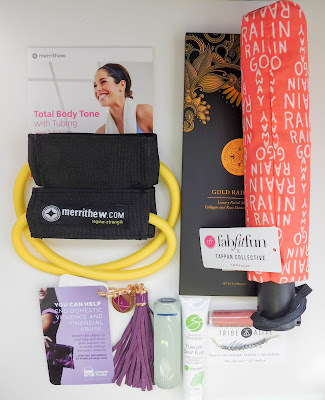 It had a ton of goodies that can be used in day to day life, and it had some amazing products with a great message behind them. My favorite item was definitely the Purple Purse Chain, only because of the message. 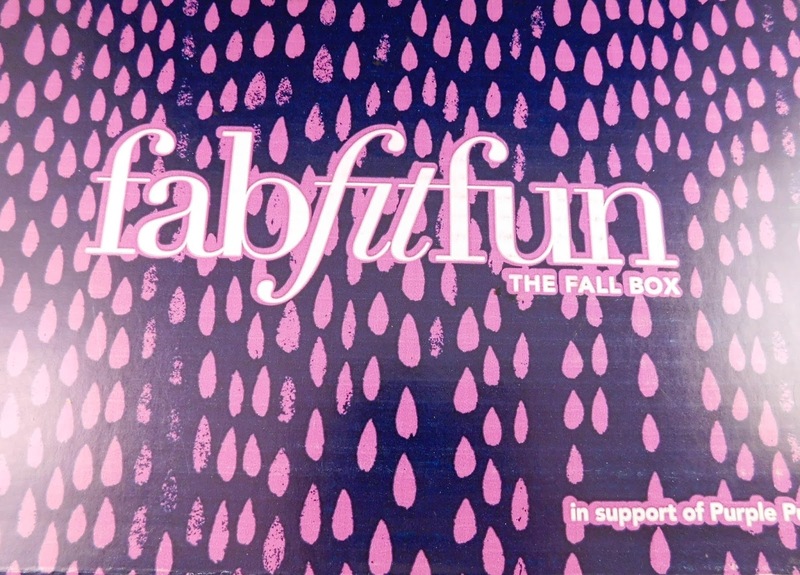 It's great and I love that a box I get supports such a great cause! Overall, definitely a great box and I loved it. 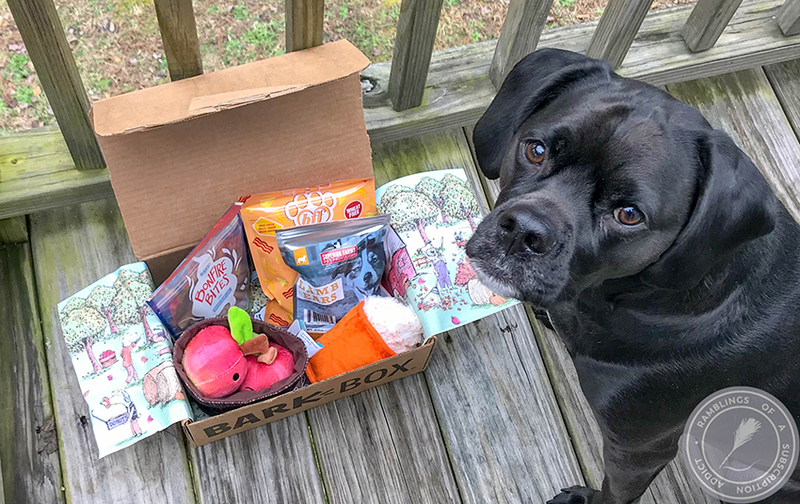 If you want a Fall box, be sure to grab it now! They're still available! And use code ramblings to get $10 off!